Hello Tilda fans, welcome to my blog. 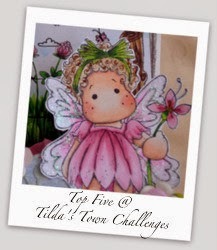 I have happy news - today I become part of Tilda's Town Design Team. 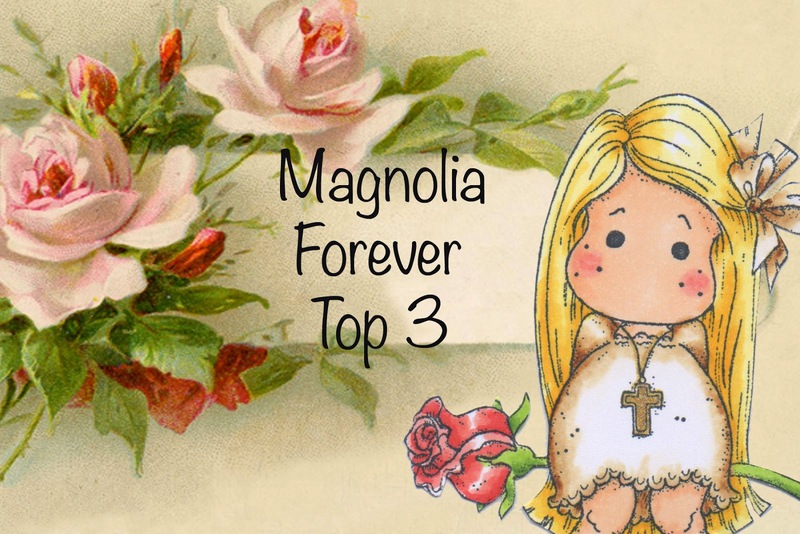 My blog is quite new so I feel honoured to be asked to join this talented team. I hope you can join in the challenges. This card is "Fussy and Fancy". If this card were a pizza it would be a fully loaded. There are all sorts of embellishments hiding among the lace and flowers. I used two Do-hickey dies; Twisted Swirl and Tilda's Heart Lace, both cut from white Bazzill card. 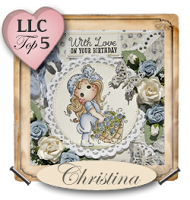 The pretty card shape was cut using Go Kreate dies. 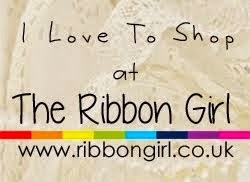 I believe all the embellishments, lace and flowers are available from The Ribbon Girl. I have fallen in love with those little wooden hearts, so cute threaded with twine. 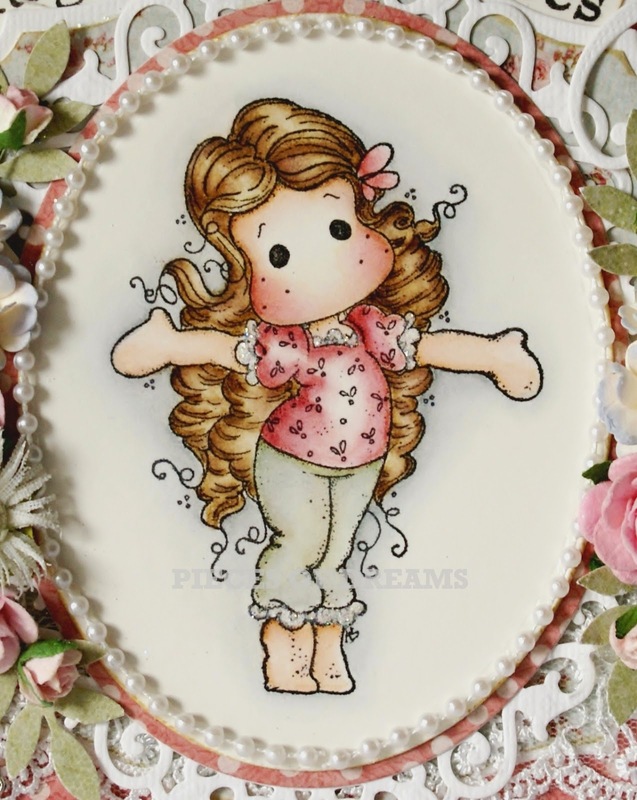 I stamped Tiptoe Tilda onto Langton Grain Satine watercolour paper and coloured her with Tim Holtz re-inkers. She has Glamour Dust added to her lace and white pearl stringing round the edge. I hope you like my card and feel inspired to enter our challenge. Please join us this week with your card. I love Christmas and try to make as many cards as I can for friends and family. There's an autumnal feel to the air now and before we know it the colder weather will be here. 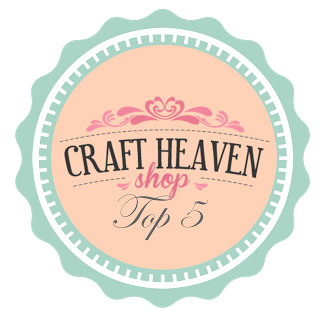 I love to be warm and snug in my craft room, surrounded with pretty papers and glittery things. Bliss! I used kraft card with some white Bazzill, adding some Joy Craft die cut snow flakes, then some pretty lace, ribbon and bead strings from the Ribbon Girl. A double bow holds two Lili of the Valley tags attached to a pearl brad. copious amounts of Glamour Dust for ice and fur. I love this cute image, it's a favourite of mine.